Lawrence Ross, author of Blackballed: The Black and White Politics of Race on America’s Campuses, will speak at the University of Lynchburg on Wednesday, February 20. 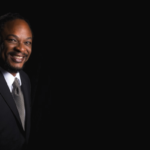 The talk, which begins at 6:30 p.m., will be held in Memorial Ballroom at Hall Campus Center. The event is open to the public and free. 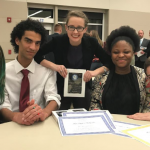 The Lynchburg College Debate and Forensics Club placed fifth in Team Sweepstakes at a College Forensics Association tournament held Dec. 1 and 2 in Middletown, Va. Students from 13 colleges and universities competed, with Lynchburg’s team of five up against much larger squads of 15 to 20 members. 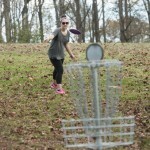 A new disc golf course near the Lynchburg College practice fields off Lakeside Drive provides another option for student recreation. It was created by Daniel Gordy ’16.